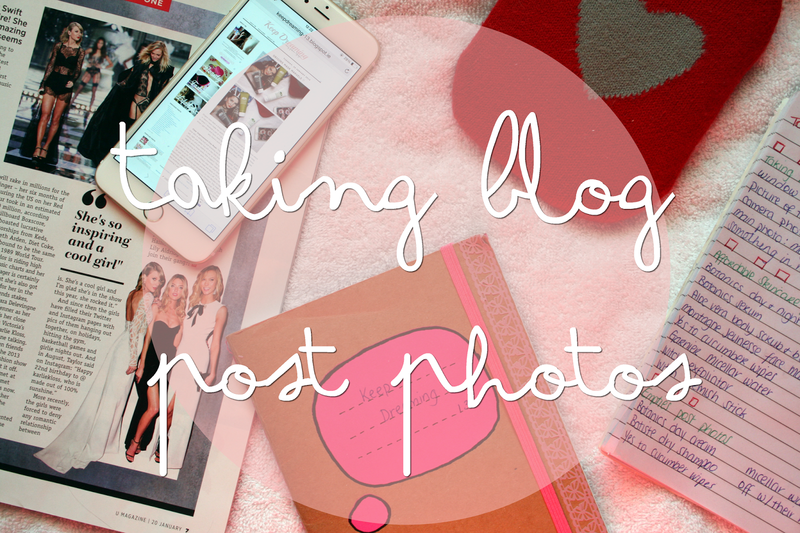 When I first started blogging I thought you needed the best of everything! Nice countertops to take pictures of the latest releases etc. I was constantly looking at the popular blogs thinking why couldn't my photos look like that with a sleek white background and amazingly lit products. Back in the 'Work Near A Window' section I had said I moved as close as I possibly could to my window. I now take my pictures on my bed which is right in front of the window! The white background you see in the background of my photos is a white hand towel that has never been used. You really don't need fancy worktops for photos! You can use things such as wallpaper samples, scarfs, white cardboard or in my case a hand towel. The list is endless! I think what puts many people off blogging is they get it into their heads that they need a big fancy well known branded camera to be able to take photos, which really is not true! You can take photos on anything it all just comes down to the lighting! For my blog photos I do use a Canon because it's there for me to use but the same results could be easily done using a phone. Below is a picture I took with my iPhone 6 plus and beside it the exact same photo only I took it with my canon. With a tweak of editing photos on your phone you could still get bright and clear results! You don't need photoshop to edit your photos as there are great online websites such as Picmonkey that allow you to do it all for free and it's pretty simple to use. I use Macromedia Fireworks because I've been using it since I was about 13 and so I know how to work it. When it comes to editing photos don't go too crazy, a simple little touch up of the brightness and contrast should do the photo just fine. You could also just allow the editing programme to do it for you by allowing it to fix the auto levels itself! I hope this post may have helped you a little or you even just enjoyed reading it! Don't forget you can catch up with my other 'blog help' post here ft. some blog post ideas! some brilliant tips there thank you :) i'm really struggling with my photography lately, because the weather has been so dull! Some really useful tips here :3 thank you for sharing them!